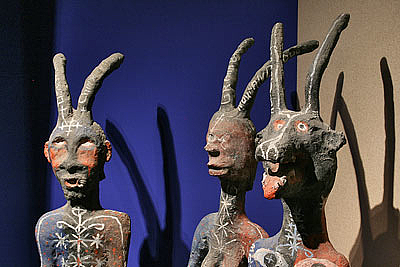 The belief in Iwa; vodou temples and altars. Flags, figures and other ritual objects and their use in the cult. 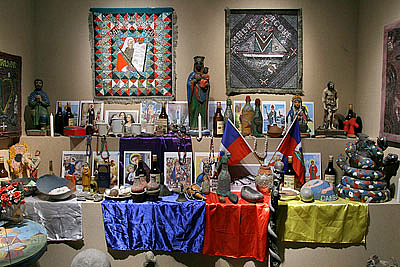 Large altar of the Rada cult, including a wealth of figures, objects, flags, images, etc. 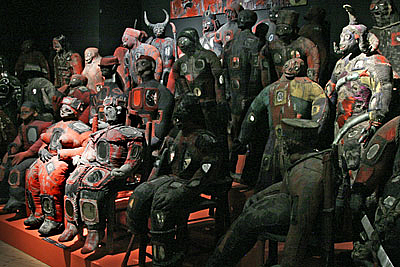 Examples of the countless lwa, found in diverse regions and temples, as well as other worshipped beings. 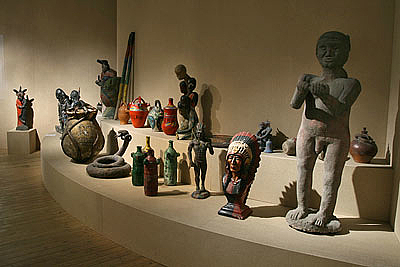 Pake (magic packages) and other ritual objects; Bizango warriors and vessels. 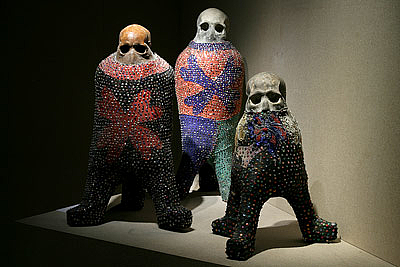 The secret societies of the Bizango: Figures of magic fighters, banner, ritual object, a complete altar. 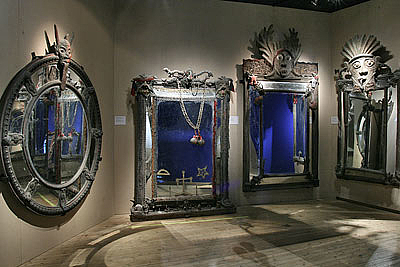 Big mirrors as conduits through which the priests establish contact with the world of spirits.